In silver, the total open interest FELL by 532 contracts DOWN to 159,697 with respect to YESTERDAY’S TRADING. In ounces, the OI is still represented by just less THAN 1 BILLION oz i.e. .798 BILLION TO BE EXACT or 114% of annual global silver production (ex Russia & ex China). FOR THE DECEMBER FRONT MONTH: 0 NOTICES FILED FOR nil OZ. In gold, the total comex gold FELL BY 2,081 contracts AS WE HAD A FALL IN THE PRICE GOLD ($9.00 with YESTERDAY’S trading ).The total gold OI stands at 398,661 contracts. We are very close to the bottom with respect to OI. Generally 390,000 should do it. 1. Today, we had the open interest in silver FELL by 532 contracts DOWN to 159,697 DESPITE THE FACT THAT the price of silver ROSE by $0.03 with YESTERDAY’S trading. The gold open interest FELL by 2081 contracts DOWN to 398,661 as the price of gold FELL BY $9.00 WITH YESTERDAY’S TRADING. ii)Turmoil in China sees Bitcoin rise another 30 dollars. It is trading at $830 uSA per Bitcoin. Monte de Paschi announces that not only is it insolvent but it is also illiquid as there seems to be a huge run on the bank as depositors decide not to wait and remove their money from this bank. The Italian government has now approved the 20 billion euros of funds necessary to bail out the banks. The next move in this chess game is Germany: bail in or bail out? Now the fun begins: Italy is set to nationalize Monte de Paschi after private sector rescue attempts fail. As we discussed above, it is now up to Germany to see what will happen: a bail in or a bailout? ii)DOE refutes the API numbers claiming a huge build up in inventory. i)Our good friends over at Deutsche bank is trouble again as the Central Bank of Russia has accused the firm of market manipulation in Russia. ii)What a sensational commentary tonight from Chris Powell. The inaction by mining companies knowing that their industry has been attacked constantly day in and day out as been a bee in my bonnet for years: Are you paying attention officers of Agnico Eagle, Newmont , Goldcorp??? ii)Strange data points this morning on existing home sales. These rise despite soaring mortgage rates, tumbling affordability and crashing mortgage applications: go figure.. The total gold comex open interest FELL BY 2081 CONTRACTS DOWN to an OI level of 398,661 AS THE PRICE OF GOLD FELL $9.00 with YESTERDAY’S trading. We are now in the contract month of December and it is the biggest of the year. Here the front month of December showed a DECREASE of 20 contracts DOWN to 712.We had 2 notice(s) served upon yesterday so we LOST 18 contracts 1800 oz will not stand for delivery and no doubt were bought out for cash plus a fiat bonus. For the next delivery month of January we had a loss of 172 contracts down to 2248. For the next big active delivery month of February we had a LOSS of 2891 contracts DOWN to 274,507. And now for the wild silver comex results. Total silver OI FELL by 532 contracts FROM 160,229 down to 159,697 as the price of silver ROSE BY $0.03 with YESTERDAY’S trading. We are moving further from the all time record high for silver open interest set on Wednesday August 3/2016: (224,540). We are now in the next major delivery month of December and here it rose BY 5 contracts up to 275 CONTRACTS . We had 0 notices served upon yesterday so we GAINED 5 SILVER CONTRACTS or 25,000 additional silver ounces that will stand for delivery. The next non active delivery month is January and here the OI fell by 59 contracts down to 1024. The next big active delivery month is March and here the OI FELL by 1055 contracts DOWN to 130,585 contracts. We had 2 notices filed for 10,000 oz for the December contract. Today the estimated volume was 116,127 contracts which is awful. To calculate the initial total number of gold ounces standing for the DECEMBER. contract month, we take the total number of notices filed so far for the month (9126) x 100 oz or 912,600 oz, to which we add the difference between the open interest for the front month of DEC (712 contracts) minus the number of notices served upon today (0) x 100 oz per contract equals 983,800 oz, the number of ounces standing in this non active month of DECEMBER. WE LOST 18 CONTRACTS OR AN ADDITIONAL 1800 OZ OF GOLD WILL NOT STAND FOR DELIVERY. average 18.596 tonnes per month vs last yr 51 tonnes total for 12 months or 4.25 tonnes average per month. From May 2016 until Dec 2016 we have had: 198.912 tonnes per the 8 months or 24.864 tonnes per month (which includes the non delivery months of May, June and Sept). In essence the demand for gold is skyrocketing. December so far: 30.600 tonnes are standing vs last year’s 24 tonnes on first day notice and 6.45 tonnes on the completion of it’s delivery month. IN THE LAST 4 1/2 MONTHS 74 NET TONNES HAS LEFT THE COMEX. Thus the initial standings for silver for the DEC contract month: 3534(notices served so far)x 5000 oz +(275) OI for front month of DEC. ) -number of notices served upon today (2)x 5000 oz equals 19,035,000 oz of silver standing for the DEC contract month. we gained 5 silver contracts or an additional 25,000 oz will stand for delivery in this active month of December. YESTERDAY’S confirmed volume was 61,640 contracts which is excellent. 1. Central Fund of Canada: traded at Negative 8.3 percent to NAV usa funds and Negative 8.4% to NAV for Cdn funds!!!! Note: Sprott silver trust back into POSITIVE territory at +0.19% /Sprott physical gold trust is back into NEGATIVE territory at -0.79%/Central fund of Canada’s is still in jail. Our good friends over at Deutsche bank is trouble again as the Central Bank of Russia has accused the firm of market manipulation in Russia. Russia’s central bank said on Tuesday it had found evidence of “large scale” market manipulation by Deutsche Bank’s former head of Russian equity trading, accusing him of doing R300 billion ($4.8 billion) of illicit trades in the names of his relatives. The case is another blow for Deutsche’s already battered reputation in Russia, where it has shut down most of its investment banking operations after being hit by a separate trading scandal last year. Yuri Khilov, who left Deutsche in 2015, earned about R255 million of profit for himself and his family from 2013 to 2015, the Russian central bank said in a statement today. It said complaints had been filed with local law enforcement agencies. What a sensational commentary tonight from Chris Powell. The inaction by mining companies knowing that their industry has been attacked constantly day in and day out as been a bee in my bonnet for years: Are you paying attention officers of Agnico Eagle, Newmont , Goldcorp??? Bloomberg reports that the last time ETF investors were net buyers of gold was the day Hillary Clinton conceded victory to U.S. President-elect Donald Trump. Holdings have dropped for 28 straight days, the longest run since the ETF’s creation in 2004. Russia, which, along with China, has been reported to be orchestrating a financial alliance to supplant the U.S. dollar as the world’s leading reserve currency, thus reducing its dominance of global trade, obviously sees gold as an integral part of the process. Its central bank is currently by far the largest known regular buyer of gold globally and has added a further 31.1 tonnes (1 million ounces) to its gold reserves in November according to an announcement made by the central bank yesterday – it releases monthly reserve data usually on the 20th of the month. Indeed Russia has been building its gold reserves pretty consistently for the past 10 years as can be seen from the chart below from Nick Laird’s excellent goldchartsrus.com website. Russian central bank reserve figures will be subject to minor adjustment when reported to IMF, but overall they probably add up to just short of 1,600 tonnes – the world’s sixth largest national gold reserve, but still hugely short of the 8,133.5 tonnes as reported to the IMF by the USA. Only recently Pravda reported that Russia would have to sell some of its gold to allay current account deficit problems – see: Russia may have to sell gold to boost current account but as we suggested at the time that doesn’t seem to have affected its central bank buying programme which has just seen the largest two month period of total purchases on record. However, Russian mines produce over 20 tonnes of gold a month on average so there is scope for both gold buying and gold sales from the country’s own output alone. 3b Japan 10 year bond yield: FALLS +.061%/ !!!! (Japan buying 100% of bond issuance)/Japanese yen vs usa cross now at 117.12/ THIS IS TROUBLESOME AS BANK OF JAPAN IS RUNNING OUT OF BONDS TO BUY./JAPAN 10 YR YIELD FINALLY IN THE POSITIVE/BANK OF JAPAN LOSING CONTROL OF THEIR YIELD CURVE AS THEY PURCHASE ALL BONDS TO GET TO ZERO RATE!! 3n Higher foreign deposits out of China sees huge risk of outflows and a currency depreciation (already upon us). This can spell financial disaster for the rest of the world/China forced to do QE!! as it lowers its yuan value to the dollar/GOT a SMALL REVALUATION UPWARD from POBC. 30 SNB (Swiss National Bank) still intervening again in the markets driving down the SF. It is not working: USA/SF this morning 1.0252 as the Swiss Franc is still rising against most currencies. Euro vs SF is 1.0695 well above the floor set by the Swiss Finance Minister. Thomas Jordan, chief of the Swiss National Bank continues to purchase euros trying to lower value of the Swiss Franc. US equity futures and Asian stocks were unchanged while European stocks declined after touching the highest level in almost a year, as Italian and Spanish banks dragged indexes lower. The dollar eased back from 14-year highs as bond yields fell on Wednesday and oil extended its advance in increasingly thin trading. Spanish banks fell after a ruling in the European Union’s top court that may result in them handing back billions of euros to mortgage customers. Bank shares tumbled by as much as 10%. Borrowers who paid too much interest on home loans pre-dating a May 2013 Spanish ruling on so-called mortgage floors are entitled to a refund from their banks, judges at the EU Court of Justice ruled in Luxembourg Wednesday. As Bloomberg reports, the court said that a proposed time limit on the refunds is illegal and customers shouldn’t be bound by such unfair terms. Banco Sabadell SA fell as much as 7.5 percent, while Banco Popular slipped as much as 10.5%, the largest decliner in Spain’s Ibex 35 benchmark. Meanwhile in Italy, Banca Monte dei Paschi di Siena SpA fell on concern it may fail in its efforts to raise €5 billion euros of funds and after it said its liquidity may turn negative in four months. Oil traded above $53.50 a barrel as data showed U.S. stockpiles declined last week. The yen strengthened and the dollar slid from the highest since 2003 versus the euro. Looking at Bloomberg data, volumes are thinning and swings in global equities are muted, with European equity volatility dropping to the lowest since 2014. The Trumflation rally has proppelled the Dow Jones to all time highs just shy of 20,000 on prospects for increased government spending in the U.S. and while Ray Dalio offered praise for Trump’s policies, Mohamed El-Erian and his former colleagues at Pacific Investment Management Co. say now’s a good time to take advantage of the latest rallies in global financial markets and scale back from risk. “It makes total sense to take some money off the table,” El-Erian, the chief economic adviser at Allianz SE said Tuesday. “We’ve priced in no policy mistakes. We’ve priced in no market accidents, and we’ve ignored all sorts of political issues,” he said on Bloomberg TV. In October, El-Erian said that he held about 30 percent of his own money in cash. The MSCI index of Asia-Pacific shares ex-Japan inched up 0.1% after a string of losses. Tokyo’s Nikkei share average fell, pulling back from earlier one-year highs to close down 0.3 percent. In Europe, the Stoxx Europe 600 Index fell 0.1 percent in early trading. The gauge closed at its highest level since December 2015 on Tuesday. European banks led declines, falling 0.5%. Futures on the S&P 500 Index were little changed The gauge rose 0.3 percent to 2,266.5 on Tuesday, a point below its all-time high. The Dow Jones Industrial Average closed at record 19,974.62. Yields on 10-year Treasury notes fell less than one basis point to 2.55 percent, after gaining two basis points Tuesday. Germany’s 10-year bund yields dropped two basis points to 0.25%. Among lower-rated bonds. equivalents also fell on concerns over banks. The premium over Spain that Italy would pay to borrow in bond markets briefly topped 50 bps for the first time since just after a failed Dec. 4 referendum on constitutional reform triggered Italian premier Matteo Renzi’s resignation. 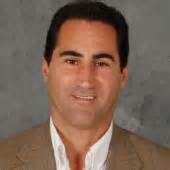 “We are seeing quite a lot of volatility. It is driven by the direction of the U.S. dollar. (Gold) is just marking time before it makes its next big move. It is in a very, very strong down channel,” said Jeffrey Halley, senior market analyst at OANDA. The Swedish crown hit a two-month high against the euro after the Riksbank kept interest rates on hold and expanded its asset-buying program. Lack of more dollar strength pushed oil higher by 0.7% to $53.69 in New York. Crude inventories dropped by 4.15 million barrels according to API data, and ahead of the EIA weekly report today which is expected to show further inventory declines. Coca-Cola Co. will pay $3.15b to buy Anheuser-Busch InBev NV out of an African bottling joint venture after the Budweiser brewer’s takeover of the U.S. beverage company’s partner in the region. Looking at Asian markets, stocks traded mostly higher following the positive lead from Wall St where financials outperformed and DJIA posted a fresh record high to close near 20,000. ASX 200 (+0.4%) was led higher by the materials sector after iron ore rose 2%, while Nikkei 225 (-0.1%) swung between gains and losses with cautiousness driven by a pullback in USD/JPY. Shanghai Comp (+1.2%) and Hang Seng (+0.6%) traded with an upbeat tone despite a further 6 Hong Kong banks increasing CNH deposit rates due to tight liquidity, as the PBoC conducted another firm liquidity injection and there were also reports China is to relax limits on stock index futures soon. 10yr JGBs saw quiet overnight trade with mild gains seen after sentiment in Japanese stocks began to sour and after today’s enhanced liquidity auction printed a higher b/c than previous. PBoC injected CNY 110bIn in 7-day reverse repos, CNY 70bIn in 14-day reverse repos, CNY 30bIn in 28-day reverse repos. PBoC set the mid-point at 6.9489, virtually unchanged from the last print of 6.9468. In Europe bourses trade mixed (EUROSTOXX 50 -0.2%) this morning with Spanish and Italian banks underperforming. Spanish banks trade at session lows amid reports that banks have lost EU case on mortgage interest repayments and will face an extra bill and as such, CaixaBank are currently trading lower by 4.7%. Once again, Banca Monte dei Paschi are feeling the squeeze after trading at YTD lows with the latest reports suggesting the bank may only have 4 months of liquidity left (Prey. view was for 11 months) Elsewhere in equities, Volkswagen / Porsche have reached a new deal in which they will recall 83,000 vehicles over emission cheating with the estimated value of the agreement in the region of USD lbln. Fixed income markets are suffering from thin volumes with the only story of note coming from Greece, with the country are struggling to meet their payments to creditors in July 2017. In currencies, the Bloomberg Dollar Spot Index was little changed after climbing for two straight days. The measure’s gain for the quarter is 7.6 percent, heading for the biggest three-month advance since the third quarter of 2008. The yen gained 0.3 percent to 117.56, after falling 0.7 percent on Tuesday. The euro added 0.1 percent to $1.0403, after touching an almost 14-year low of $1.0352 yesterday. The standout theme today has been GBP, with losses against the EUR widely acknowledged to be front-loaded Dec buying out of Europe. Cable has been pressed lower as a result, but this is also down to the pressure seen on EUR/USD, which is struggling to post any sort of recovery through 1.0400 as USD dips are consistently paid up. Some moderation in the AUD as Iron Ore prices rose 2%. Spot trade tight on .7250 today, while NZD/USD gains back above .6900 look temporary at best. USD/CAD buyers seen in the mid 1.3300’s, as yield sentiment overrules the Oil price relationship. In commodities, oil climbed 0.7 percent to $53.69 in New York. Crude inventories dropped by 4.15 million barrels, the American Petroleum Institute was said to report. Data from the Energy Information Administration on Wednesday is also forecast to show supplies shrank. Gold rose 0.2 percent to $1,135.55 an ounce, after closing near a 10-month low Tuesday. As the Christmas break nears, activity slowly grinds to a halt, and nowhere more so than in commodities. Gold saw a minor upturn as the USD gives up some of its better levels, but the prospects of further downside look likely given 2017 projections for the greenback and stocks still very much on the front foot. Base metals are supported as a consequence, as are Oil prices, further bolstered by the API drawdown reported last night. Front month WTI highs seen just shy of USD53.80 so far today. Four people are dead and many more injured after a minibus drive into a market in the northern region of Beijing. While China’s traffic safety record is not exactly stellar, with many on edge following the Berlin attack, this event is noteworthy as China has faced a threat from Islamist militants operating in its far western region of Xinjiang who have been blamed for a series of attacks in recent years. As Reuters reports, the incident happened at about 3 p.m. (0700 GMT) in a small town in Beijing’s largely rural Changping district, when the minibus “drove into” an agricultural market and hit people there, Beijing police said in a short statement on their microblog. The injured have been taken to hospital, the statement said, without given a number of people involved. Police have taken custody of the vehicle and “relevant personnel” and are investigating further, it added, without giving other details. China’s poor traffic safety record means such incidents are common. China also says it faces a threat from Islamist militants operating in its far western region of Xinjiang, who have been blamed for a series of attacks in recent years, mostly in Xinjiang but occasionally in other parts of the country. The sad thing is that this event could be nothing but an accident, but in this new normal of government-inflamed fear, our biases immediately tilt to terrorism as more likely. Turmoil in China sees Bitcoin rise another 30 dollars. It is trading at $830 uSA per Bitcoin. indeed been largely used to evade capital controls. Note we saw this pattern in Nov/Dec last year also (as capital control fears grew) and that was followed by a surge back into gold. I highlighted to you the Trump proposal for a “border tax policy” I urge you to read it carefully. (in the USA section today) Just now, Trump appoints author Peter Navarro to head the trade office and he has stated that we are in a economic war with China. According to the FT, which broke the news, Trump has chosen Peter Navarro, a Harvard-trained economist and one-time daytrader, to head the NTC. The author of books such as “Death by China” and “Crouching Tiger: What China’s Militarism Means for the World”has for years warned that the US is engaged in an economic war with China and should adopt a more aggressive stance — a message that the president-elect sold to voters across the US during his campaign. The Trump transition team described Mr Navarro as a “visionary economist” who would “develop trade policies that shrink our trade deficit, expand our growth, and help stop the exodus of jobs from our shores”. His appointment is the second restructuring of trade policy that will see Mr Trump attempt to follow through on his focus to resurrect manufacturing, and create more industrial jobs, in the American economy. The Trump team said the NTC would lead a “Buy America, Hire America” programme that would boost job creation in areas such as infrastructure and defence. It will work in tandem with three other offices in the White House: the National Security Council, the National Economic Council and the Domestic Policy Council. They added that it would mark the first time there was an office dedicated to manufacturing inside the White House, in a strong signal that Mr Trump plans to follow through on the promises that he made on the campaign trail. While the Navarro appointment will certainly raise eyebrows, the move to create the new office is also likely to be seen as controversial by mainstream economists, many in the business community and pro-trade Republicans. Targeting the trade deficit is seen by many economists as likely to lead to protectionist trade policies. It may also be complicated by Mr Trump’s plans for an increase in spending and rising interest rates, both of which have already yielded a surge in the dollar that is likely to make US exports less competitive and would normally lead to a bigger trade deficit. Navarro’s appointment also means that the speculation that Trump may launch a “Border tax proposal” to eliminate the US trade deficit is far more likely than the 30% probability some assign to it. If it indeed passes, then watch out, because as Deutsche Bank calcualted yesterday, it would lead to a 15% surge in the dollar, which would almost certainly lead to a full blown Chinese economic crisis. In early European trading, shares of Italy’s third largest and most troubled bank were halted after crashing 17%, dropping to fresh all time lows, after the bank warned it is not only insolvent, but its liquidity could run out far sooner than expected. BMPS shares initially dropped following yesterday’s news that the €5 billion private sector rescue plan appeared to be a dead end, after only €500 million in new capital was said to have been lined up, coming far short of the targeted bogey. An analysis by Swedbank said that adverse reports about Paschi’s efforts to find private capital are “quite discouraging” and added that “it seems as if a government intervention comes closer by the day.” It also noted that that government intervention that also abides by BRRD (Bank Recovery and Resolution Directive) rules will punish equity and junior bond holders, which is a major concern. This was, however, compounded after Monte Paschi warned it expects to burn through around €11 billion euros of liquidity more quickly than previously forecast, according to a revised prospectus on the bank’s website. The world’s oldest bank said it now expected its net liquidity position, currently standing at €10.6 billion, to turn negative after four months. This was a sharp deterioration from the most recent liquidity update just three days prior, when on Sunday the bank had forecast that a current net liquidity position would turn negative after 11 months under a number of assumptions. It said on Wednesday the position would be negative for 15 million euros on the 5th month and could worsen further to minus 740 million euros by the 12th month. This compares with the minus 100 million-euro level it forecast on Sunday for the 12th month. The situation of the liquidity of the bank had progressively deteriorated until it reached, following the constitutional referendum of December 4, a time horizon of 29 days before which the bank would not be able to meet its liquidity requirements without seeking help from new interventions. That time horizon was calculated applying a stress situation where the bank saw an outflow of €10.3bn in a month. However, just as the situation appeared terminally grim for the twice-bailed out bank, its shares soared briefly recovering all losses when moments ago Italy’s upper house of parliament approved a government request to borrow up to €20 billion in new public debt to underwrite bailouts of the country’s various troubled banks. The vote came just minutes after the lower house had also given its authorization for a hike in the national debt to cover an eventual intervention. The twin votes clear the way for government action, possibly this week, and the result was a bout of optimism that Italy may just have kicked the can one more time, on expectations Monte Paschi would quickly request state funds to prevent it from collapse. Amusingly, earlier in the day, Italy’s Finance Minister Padon told lawmakers that the “Italian banking system was solid.” Maybe it is for the next few months, and all it will cost taxpayers is another €20 billion in public debt. We now await Germany’s statement on what appears to be yet another government bailout of insolvent European banks. It remains to be seen if Germany, long a critic of state bailouts, will be as agreeable. Meanwhile, Pier Carlo Padoan, the Italian finmin, insisted that apart from a few “critical” situations, Italy’s banking system was “solid and healthy”. He vowed to “minimise, if not erase” any impact of the public intervention on the savings of ordinary citizens. The third bailout, and re-nationalization, of Italy’s third largest banks is imminent following a Reuters report that the ongoing, JPM-led attempt to execute a complex private sector bailout of Monte Paschi has failed. According to Reuters, Qatar’s sovereign wealth fund, long considered as the most likely anchor investor with a €1 billion allocation in any rescue plan cash call, decided it is unwilling to invest in the Italian bank, meanwhile Monte Paschi has been unable to find a replacement investor willing to put money in its privately funded rescue plan, less than 24 hours before the offer ends. As a result, the bank entire share sale, which closes at 2 p.m. (1300 GMT) on Thursday, has drawn very little interest from the wider investment community. As laid out previously, the bank needs to raise €5 billion by the end of this month to avert being wound down. The Italian government, which earlier today got a greenlight to issue €20 billion in public debt to use for bank bailout purposes, is expected to step in this week and nationalize the bank. The approval came after the ECB refused to extend a deadline on a €5bn recapitalisation before the end of the year and fears mounted the lender’s liquidity levels were becoming unsustainable. MPS has lost €14bn, or 11 per cent of its total deposits, from January to September 2016 and warned its liquidity provision would fall under the required levels should it suffer another €10bn of deposit outflows under a “stress” scenario calculated by the ECB. The news sent the stock plunging to record lows, shortly before the government agreed to let taxpayers shoulder the burden of yet another bailout of the insolvent bank. In addition to Monte Paschi, other banks expected to benefit from Italy’s imminent state aid include Veneto Banca, Popolare Vicenza, Cassa di Cesena, Cassa di Rimini and Cassa di San Miniato. In addition to the new capital injection by the government, it is unclear what the “bail-in” terms of the rescue will be. While a reported by Il Messaggero earlier said that the planned government bank aid won’t hurt depositors because funds will be given under EU’s precautionary recapitalization plans, it is likely that at least some of the bondholders will be impaired. The Italian newspaper said that holders of shares and bonds in banks affected to face “soft” burden-sharing by having to participate in conversion of subordinated bonds into shares. As shown previously, Italy is unique in that the vast majority of “bail-inable” debt on bank balance sheets is held by domestic, retail investors. The terms of their impairment may determine the longevity of the brand new Italian government. There is another problem: in the past both Merkel and Schauble, not to mention Djisselbloem, have made it expressly clear that a bail-in mechanism should be used to preserve insolvent banks, and a state-funded and taxpayer backed bailout/nationalization is no longer permitted. Allowing Italy to proceed with this transaction would make a mockery of Europe’s entire “bail-in” protocol, not to mention the European finance ministers’ resolve and ability to implement anything, which is why the European Commission would need to assess whether the government’s intervention is taking place at market prices or if it constitutes state aid. Update: According to Reuters, quoting German newspapers, the Tunisian suspect had been in contact with network of leading Islamist ideologist know as Abu Walaa, and had applied for asylum and received residency permit. The German state minister says the suspect in Berlin attack appears to have used different names, declined to say whether suspect was on a watch list but security agencies have identified suspect as being in contact with Islamist network. German state minister also said the suspect appears to have arrived in Germany in July 2015, and his asylum application had been rejected. 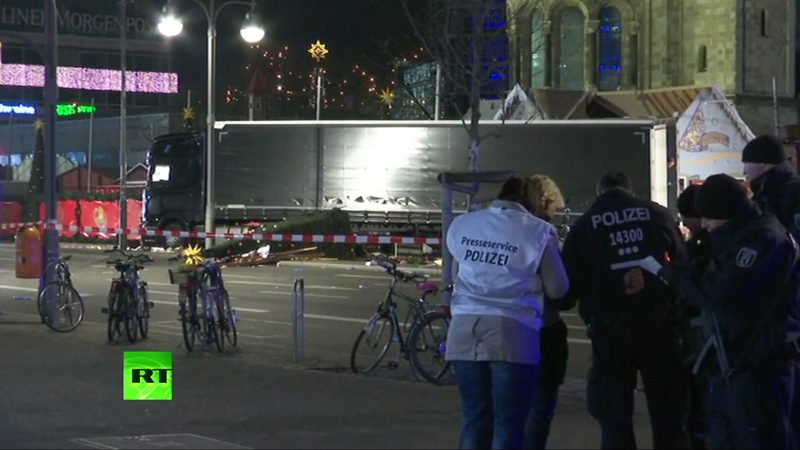 German police is searching for a Tunisian man after conveniently finding a temporary-stay permit under the driver’s seat of the truck that plowed into a Berlin Christmas market, killing 12 people, according to Spiegel Online. The man is aged 21 or 23 and known by three different names, according to reports in the daily Allgemeine Zeitung and the Bild newspaper. According to a slightly conflicting report, the document was in the name of Anis A., born in the southern city of Tataouine in 1992. It was not immediately clear why it took so long to find the alleged identity document which was located under the driver’s seat, and why a different person of interest was detained for nearly 24 hours after the attack. As a reminder the man who rammed a truck through a crowd in Nice during Bastille Day celebrations, killing 86, was also Tunisian-born. Bild reported that the Tunisian was known to police as a possibly dangerous individual, and part of a large Islamist network. A police operation is said to be under way in the state of North Rhine-Westphalia where the permit was issued. Reports also say the suspect may have been injured in a struggle with the driver. He applied for asylum in April and was given a temporary residence permit, the Sueddeutsche Zeitung said. Police initially arrested a Pakistani asylum-seeker near the scene, but released him without charge on Tuesday. Authorities have warned that the attacker is on the run and may be armed. It is not clear if the perpetrator was acting alone or with others. According to Reuters, the Polish driver of the killer truck was found shot dead in the cabin of the vehicle. An autopsy indicated that the driver was still alive at the time of the attack, the daily Bild reported. It quoted an investigator as saying there must have been a struggle with the attacker, who may have been injured. The 37-year-old Pole named Lukasz worked for his cousin Ariel Zurawski’s transport company in northern Poland. Zurawski described him as a “good guy” and said his body showed signs of a struggle with the assailant or assailants. Islamic State has claimed responsibility, as it did for a similar attack in July when a Tunisian-born man rammed a truck through a crowd celebrating Bastille Day in the French city of Nice. Eighty-six people were killed, and the driver was shot dead by police. The head of the Association of German Criminal Detectives, Andre Schulz, told German television late on Tuesday that police hoped to make another arrest soon. “I am relatively confident that we will perhaps tomorrow or in the near future be able to present a new suspect,” he said. Meanwhile, Wednesday’s Passauer Neue Presse quoted the head of the group of interior ministers from Germany’s 16 federal states, Klaus Bouillon, as saying tougher security measures were needed. German Chancellor Angela Merkel, who will run for a fourth term next year, has said it would be particularly repulsive if a refugee, seeking protection in Germany, was the perpetrator. The Chancellor was slammed by the anti-immigrant Alternative for Germany (AfD) party, which has won support in the last two years as Merkel’s own popularity has waned, who said on Tuesday that Germany is no longer safe. Some politicians have also called for changes to Merkel’s immigration and security policies after she allowed more than a million migrants to enter Germany in the last two years, many fleeing countries such as Syria, Iraq and Afghanistan. Bavarian Interior Minister Joachim Herrmann told German radio on Wednesday that there was a higher risk of Islamist attacks because of the influx of migrants. Update 1: Germany has offered a €100,000 bounty for any information leading to the suspect’s arrest during a Europe-wide manhunt across the border-free area. Meanwhile, according to the suspect’s father and security sources, Tunisia’s Radio Mosaique reported that Anis Amri left Tunisia seven years ago as an illegal immigrant and spent time in prison in Italy. The radio reported on its website that security sources had named the suspect as Anis Amri from Oueslatia in rural central Tunisia. He served four years in jail in Italy on accusations of burning a school, it said. The father told the radio station that his son left for Germany a year ago. Storm clouds are gathering for Angela Merkel who, in the aftermath of Monday’s tragic Berlin truck attack said that “it would be particularly repulsive if a refugee, seeking protection in Germany, was the perpetrator.” According to the latest news out of Germany, not only was the suspect, Anis Amri, a (failed) refugee, as he was supposed to be deported from Germany, but more troubling for Merkel is that he was previously investigated in a separate terror plot, however was never apprehended. According to Ralf Jäger, the interior minister of North Rhine-Westphalia state where the suspect had lived for some time, Amri was previously investigated in connection with an earlier terror plot. The man had been considered a potential threat by security authorities since November. After being turned down for asylum, he should have been deported but could not be returned to Tunisia because his documents were missing, added Jaeger. Amri reportedly moved around Germany and lived in several places, Jäger said. Since February this year he lived mostly in Berlin, but he had been back in North Rhine-Westphalia recently. Jäger said an investigation had been launched against the suspect earlier this year on suspicion of “preparing a serious crime endangering national safety”. The investigation was launched by police in North Rhine-Westphalia but mainly conducted in Berlin, he said. Just as troubling is that the Tunisian suspect was supposed to be deported from Germany but could not be, “because he had no valid identity document that could be used to prove he was Tunisian”, Jager said cited by the Telegraph. As Jäger was speaking, a police raid on refugee accommodation where Anis Amri lived was reportedly under way. Jäger said that the suspect had been in Germany since July 2015. His claim for asylum was rejected in June this year but the authorities were unable to deport him as they could not prove his identity. German authorities requested Tunisia issue him with a new passport or laissez-passer two months ago. Tunisia initially denied that he was Tunisian but document arrived on Wednesday – two days after the attack. Bild added that German authorities requested a passport for Amri from the Tunisian authorities two months ago so he could be deported. It is unclear if Merkel’s government was pass the blame for Monday’s attack on the Tunisians for not being cooperative on time, and preventing Amri’s deportation. The new details will add to a growing list of questions about whether security authorities missed opportunities to prevent the attack which claimed the lives of 12 people and was the deadliest attack on German soil since 1980; it will also cast further doubt on how competent Merkel is to deal with the fallout from a problem which her political opponents, and much of the local population, allege she is responsible for. Chancellor Merkel, Germany’s ruling elites and the media can continue putting a happy face on uncontrolled mass-migration from Arab and Muslim lands, or suppress news reporting on rising migrant crime, but they cannot wish away the country’s deteriorating law and order situation. It should be evident to even a casual observer that her government still does not care about the victims of its own failed “refugee” policy. Monday’s terrorist attack on a Berlin Christmas market killed at least 12 people and injured 50 others. Islamic State took responsibility for the truck-ramming attack, as recommend by the al-Qaeda magazine, Inspire, and similar to the July 14 attack in the French city of Nice, and countless car-rammings in Israel. Now Europeans feel what Israelis live with every day. Even before it can face any real onslaught, however, Merkel’s fortification is showing some serious cracks. Wendt has also been attacked for questioning the customary kid-glove treatment given to violent and criminal “refugees” by German courts. Sven Rebehn, Chairman of the German Association of Judges, called Wendt, “the Donald Trump of domestic politics” — apparently the biggest insult a German liberal can come up with these days. The Merkel government can turn the center of Cologne into an impenetrable fortress for a day or two, but the threat is not going away. The problem lies in the Ruhr region that encircles Cologne. “Have foreign clans turned Ruhr region into a No-Go-Area?” asks the leading German newspaper, Die Welt, just days ahead of News Year’s Eve. As the manhunt continues for the “solider of the Islamic State” that plowed down and killed over a dozen innocent people and injured another 50 in Berlin, tensions throughout Germany generally between locals and the migrant beneficiaries of Merkel’s open border policies continue to escalate. One such example comes from the German city of Bautzen, in which a group of local Germans and “young asylum seekers” got into a brawl at the Christmas market after a heated exchange regarding the migrants’ playing of loud music from their phones. According to Breitbart, the brawl involved six young migrants and resulted in two injuries and $100s of Euros worth of damage. The commotion began on Saturday night at the Bautzen Christmas market — thought to be the oldest market of its kind in Germany — when locals objected to a group of approximately six migrant youths playing loud music from their mobile phones. The paper reports that as the migrants withdrew from the fight, they damaged a car on their way, causing hundreds of euros of damage. Police arrived after locals called in a report. This was not the first confrontation between violent migrants and locals in the eastern German town of Bautzen. The local newspaper, Lausitzer Rundschau, reported that Police had to intervene in September when migrants attacked locals and pelted bottles at officers. Right-wing anti-mass migrant protesters also got involved and followed the immigrants back to their hostel. As our readers are well aware, outbursts like the one above are nothing new as, over the past several months, the German people have become increasingly frustrated with Merkel’s “open-border” policy that has allowed over 1mm migrants to flow into the country from the Middle East and North Africa. The flood of migrants has brought with it a wave of violent crime including sexual assaults resulting in a rising nationalist tension as people have turned their backs on Merkel and her Christian Democratic Union party in recent elections. Switzerland handed out about $100 million in antitrust fines against seven U.S. and European banks for participating in cartels to manipulate widely used financial benchmarks. PMorgan Chase & Co. was fined 33.9 million francs ($33 million) for operating a cartel with Royal Bank of Scotland Group Plc for more than a year, with the aim of influencing the Swiss franc Libor benchmark, which is tied to the London interbank offered rate, Switzerland’s competition commission said in a statement Wednesday. RBS received immunity for revealing the existence of the cartel, which operated between March 2008 and July 2009. Regulators across the globe have been probing banks’ manipulation of Libor and similar benchmarks that are used to calculate interest payments for trillions of euros of financial products including mortgages. The investigations have so far triggered about $9 billion in fines for a dozen banks in the last four years while more than 20 traders have been charged. Libor and Euribor, the euro interbank offered rate, gauge banks’ estimated cost of borrowing over different periods of time. Earlier this month, JPMorgan, HSBC Holdings Plc and Credit Agricole SA were fined a total of 485.5 million euros ($505 million) for rigging Euribor as European Union antitrust regulators wrapped up a five-year investigation into the scandal. The Swiss commission fined three banks a total of 45.3 million francs for participating in a cartel involving the Euribor interest rate between September 2005 and March 2008. Barclays Plc was fined 29.8 million francs while RBS and Societe Generale SA will pay 12.3 million francs and 3.25 million francs respectively. Deutsche Bank AG received immunity in the Euribor probe for alerting the commission to the cartel. BNP Paribas SA, Credit Agricole SA, HSBC Holdings, JPMorgan and Rabobank Groep remain under investigation in that probe. “Societe Generale strongly condemns this type of individual behavior and has entirely reviewed its interbank rate submission process to comply in full with the new standards set by the various bodies and authorities concerned,” the spokesman said. An official for Deutsche Bank declined to comment. JPMorgan didn’t immediately respond to requests for comment. The Swiss commission announced 5.4 million francs in fines against three banks for conspiring to rig the bid-ask spread on Swiss franc interest-rate derivatives between May and September 2007. Credit Suisse Group AG must pay 2.04 million francs while JPMorgan was fined 2.6 million francs and RBS 856,000 francs. UBS Group AG received immunity. Citigroup Inc., Deutsche Bank, JPMorgan and RBS were fined 14.4 million francs for collusion in the trading of yen interest rate derivatives that violated antitrust law between 2007 and 2010. The commission dropped its investigation of three Japanese banks, while HSBC, Lloyds, Rabobank and UBS remain under investigation, as well as three interdealer brokers. UBS will “strongly defend its position” in the proceedings, the bank said in an e-mailed statement. n response to the latest imposition of US sanctions on Russia, the Kremlin said on Wednesday that the new sanctions would further damage relations between the two countries and that Moscow would respond with its own measures. “We regret that Washington is continuing on this destructive path,” Kremlin spokesman Dmitry Peskov told reporters on a conference call. As a reminder, on Tuesday the United States widened sanctions against Russian businessmen and companies adopted after Russia’s annexation of Crimea in 2014 and the conflict in Ukraine. Then again, it is difficult to see how sanctions between the two administration could be any more “damaged”: also on Wednesday, the Kremlin said it did not expect the incoming U.S. administration to reject NATO enlargement overnight and that almost all communications channels between Russia and the United States were frozen, the RIA news agency reported. “Almost every level of dialogue with the United States is frozen. We don’t communicate with one another, or (if we do) we do so minimally,” Peskov said. “Everyone’s heads are aching because of work and with projects and nobody is thinking or talking about elections,” Peskov said. Then again, the sanctions may soon be history. According to a Bloomberg report, the U.S. will start easing its penalties, imposed over the showdown in Ukraine in 2014, during the next 12 months, according to 55 percent of respondents in a Bloomberg survey, up from 10 percent in an October poll. Without the restrictions, Russia’s economic growth would get a boost equivalent to 0.2 percentage point of gross domestic product next year and 0.5 percentage point in 2018, according to the median estimates in the poll. Trump, who’s called President Vladimir Putin a better leader than Barack Obama, has said he may consider recognizing Russia’s annexation of Crimea from Ukraine and lifting the curbs. While dogged by concerns that Russia intervened to tip this year’s elections in the Republican candidate’s favor, Trump has already showed his hand by planning to stack his administration with officials supportive of closer cooperation with the Kremlin, from Michael Flynn, the president-elect’s national security adviser, to Exxon Mobil Corp. chief Rex Tillerson, a candidate for secretary of state. An equally important consequence of any policy change by Trump would be its affect on the EU’s own penalties on Russia, with more economists saying the bloc will follow suit. Forty percent of respondents said in the Dec. 16-19 survey that the EU will begin easing sanctions in the next 12 months, compared with 33 percent in October. “If the U.S. eases sanctions, it won’t be possible to achieve a consensus among EU member states to keep their sanctions regime in place as currently formulated,” said Charles Movit, an economist at IHS Markit in Washington. The overnight rally in crude following API’s unexpectedly large crude inventory drawdown has been erased as more headlines from Libya send WTI lower. Bloomberg reports that output will be 900k b/d beginning next yr, NOC Chairman Mustafa Sanalla says in Cairo, and is expected to reach 1.2mm barrels per day by the end of 2017. As Bloomberg Briefs details, Libya reopened two of its biggest oil fields and is set to load its first crude cargo in two years from its largest export terminal as the war-torn country pursues plans to almost double output in 2017. Pipelines connecting the Sharara oil field to Zawiya refinery, and the El-Feel deposit to the Mellitah energy complex, reopened at the town of Rayayina, according to a statement by the state-run National Oil Corp. The reopening of the fields will help boost the country’s oil production by 175,000 barrels a day within one month and 270,000 barrels a day within three months, it said. Also, a tanker is set to load the first export from Es Sider oil port since the terminal was closed in 2014. Libya’s comeback will put more pressure on OPEC and other major producers that agreed over the past three weeks to cut their output to rein in an oversupply and shore up prices. The North African nation, which was exempted from OPEC’s planned cuts because of its internal strife, is currently producing 600,000 barrels a day, less than half of the 1.6 million it pumped before a 2011 uprising. Once again it seems the extreme sensitivity of algos to any shifts in production at all suggest faith in the OPEC/NOPEC ‘cut’ deal is anything but strong. DOE refutes the API numbers claiming a huge build up in inventory. Following API’s reported across the board inventory draws, DOE refuted this and saw a surprise notable 2.256mm build (most in 5 weeks). Cushing inventories fell very modestly (biggest draw in 2 months) and Gasoline and Distillates also saw further inventiry dras. Production slid very modestly. WTI is being sold on this print, testing back to a $52 handle. Production fell very modestly on the week but the trend remains tracking the lagged rig count higher.. The 30 yr bond yield 3.138, down 1 IN BASIS POINTS from TUESDAY night. USA dollar index early WEDNESDAY morning: 102.92 down 33 CENT(S) from TUESDAY’s close. the Italian 10 yr bond yield is trading 45 points HIGHER than Spain. The British pound at 5 pm: Great Britain Pound/USA: 1.2353 : down 11 BASIS POINTS. That’s the market you’re buying ladies and gentlemen! So, despite a massive monkey-hammering of VIX to a 10 handle at the opening, Dow 20,000 remains elusive…NOTE: Very odd action in VIX and The Dow today – super noisy. Dow’s narrowest trading day since 2013. VIX puked to a 10-handle – its lowest since July 2014… (before that this is the lowest since March 2007) – note the last two times VIX droppped for 5 consecutive days was in July and October and was followed by a huge spike in vol. While the market, and various pundits and economists have been mostly focused on the still to be disclosed details of Trump’s infrastructure spending aspects of his fiscal plan, “one of the least talked about but possibly most important tax shifts in the history of the United States” is, according to DB, House Speaker Paul Ryan’s and President-elect Trump’s “border tax adjustment” proposal. In other words, should the “border tax proposal” pass, it would not only send inflation soaring, while eliminating the US trade deficit – a long-time pet peeve of Trump – it would also be the trade-equivalent of a 15% USD devaluation, even as it leads to an offsetting surge in the actual value of the dollar. We wholeheartedly agree with DB’s assessment in this particular case. Despite soaring mortgage rates, tumbling affordability, and crashing mortgage applications, existing home sales soared to fresh cycle highs. At 5.61mm SAAR, this is the highest existing home sale print since Feb 2007 (+0.7% MoM vs -1.8% exp). However, today’s data does not reflect the post-Trump spike in rates and collapse in mortgages. What happens next? Lawrence Yun, NAR chief economist, says it’s been an outstanding three-month stretch for the housing market as 2016 nears the finish line. “First-time buyers in higher priced cities will be most affected by rising prices and mortgage rates next year and will likely have to stretch their budget or make compromises on home size, price or location,” said Yun. I don’t think that we have ever seen an extended post-election stock market rally quite like this one, and the U.S. dollar is rallying too. But of course not everything is rainbows and unicorns. Signs of trouble continue to erupt all over the U.S. economy, and there are many that believe that Trump will be facing some very serious economic concerns very early in his presidency. Uber racked up pro-forma losses of more than $800m in the third quarter of this year as a price war with rival ride-hailing service Lyft in the US and heavy spending on new initiatives weighed on its figures, according to a person familiar with its recent financial performance, reportsThe Financial Times. “I believe this is the tip of the iceberg of what may be to come if we don’t work harder on this problem,” said Sen. Claire McCaskill of Missouri, the top Democrat on the Senate Special Committee on Aging. The report showed garnishments left thousands with Social Security checks below the poverty line, prompting Sen. Elizabeth Warren (D., Mass.) to call the practice “predatory.” Both lawmakers said they will push legislation to ban it. But consumer advocates and some congressional Democrats say the government’s tactics have become too aggressive, targeting many borrowers who are destitute and have no hope of repaying. Most Social Security recipients rely on their checks as their primary source of income, other research shows. Meanwhile, the WSJ points out that Obama’s “income-driven repayment” (IDR) plans only serve to make the student loan problem worse. Since the payment plans only cover a portion of monthly interest payments, debt balances continue to grow over time leaving borrowers with even larger debt balances as they reach retirement age. Daniel Pianko, a managing director of University Ventures, which invests in for-profit and nonprofit schools, says the government may be worsening the troubles of older borrowers by promoting programs that set monthly payments as a share of borrowers’ earnings. Payments under “income-driven repayment” programs frequently cover only part of the interest and not the principal, allowing balances to grow. In that sense, the income-driven repayment programs have the same effect as payday lenders, trapping poor borrowers in a growing amount of debt. “Every month and every year the loan balances go up, which means by definition this problem will only get worse,” Mr. Pianko said. We just wrote about another Government Accountability Office report that blasted the Education Department’s understanding of basic mathematics and accounting concepts after finding the department drastically underestimated the costs of Obama’s student loan forgiveness programs. The 100-page report entitled “Federal Student Loans: Education Needs to Improve Its Income Driven Repayment Plan Budget Estimates” found that taxpayers could be on the hook for $137BN of student loans to be forgiven over the coming years as a result of Obama’s executive actions on IDR plans. Oh well, what’s another $50 billion or so…we hear a lot of baby boomers vote so better give them what they want. The Order finds that, beginning in January 2007 and continuing through March 2012 (the Relevant Period), Goldman attempted, by and through certain of its traders in New York, on many occasions to manipulate and made false reports concerning the U.S. Dollar International Swaps and Derivatives Association Fix (USD ISDAFIX). The CFTC Order requires Goldman to pay a $120M civil monetary penalty, cease and desist from further violations as charged.